How wonderful it is to say “Hello. I Love You. I’m Thinking of You” to your favorite little person. Every month. I love The Petit Cadeau’s Snail Mail for Children because it does exactly that. 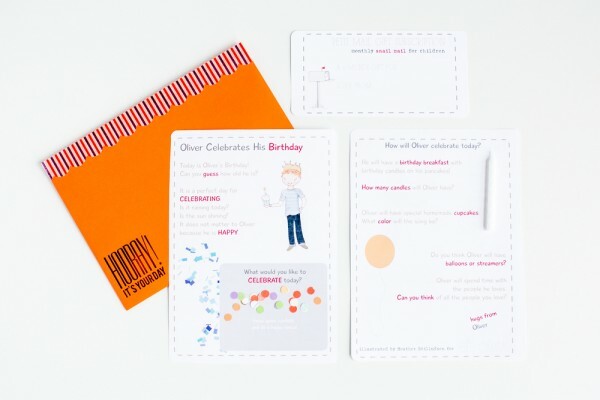 Every month the child will receive a colorful, fun, engaging letter in their mailbox that features something special from Oliver + Olivia. At $37.50 (including postage!) for six months of eagerly awaited joy (and a great excuse to talk with those little blessings later), it’s totally worth it. I can’t wait to hear about the response from my niece and nephew when they get theirs. Alison is an artisan and “Thoughtful Gift” enabler. (love that). She sells her Snail Mail for Children on Etsy and shares great ideas and content on her website. She’s done a great job putting something creative, useful and affordable together and I highly recommend checking it out.